Hi All, Welcome to the new year! 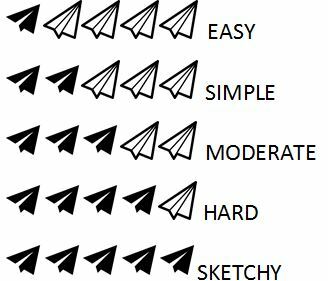 a list of your four(4) planes. For this entry I would earn - 13pts. 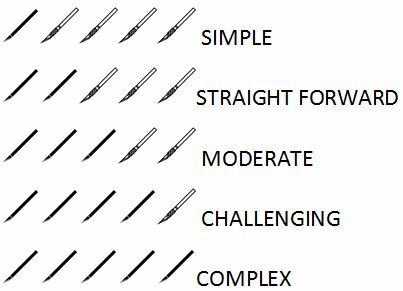 Most of these are at or above my build and piloting skill level, the delta is well below. 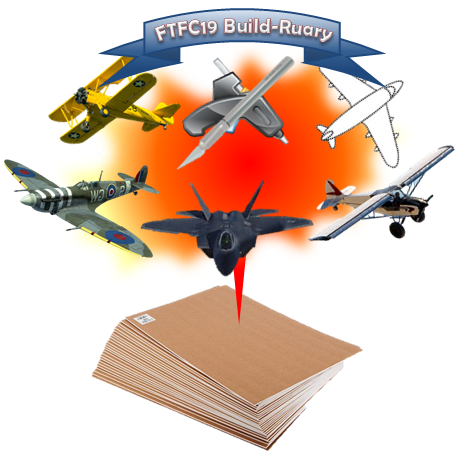 Set aside Posts 2 - 5 and title them "FT-Build-Ruary: (plane) Build by (builder)"
6pts Build-log: A brief explanation of your build process, and note difficulties, changes and tips along the way. Be sure include your build pics and a estimated build time. 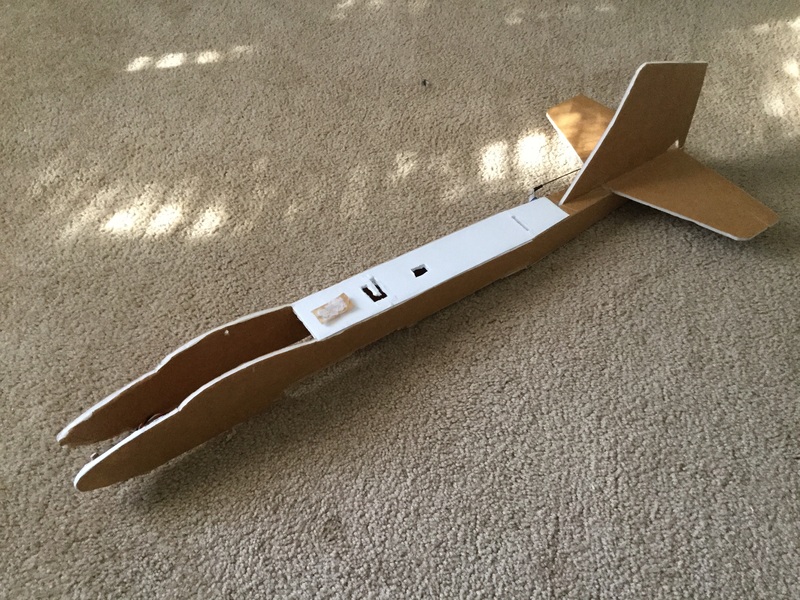 3pts Color Scheme - A decorated plane is more fun! I will keep a running tally in a post below for easy reference! Challenge Begins February 1st and Ends on the 1st of March 2018! *plans must be supplied by the winner. Good Luck FT Community, Get your plans ready and Happy Building! FT-SeaDuck Kit Kolibri High-Alpha Flyer. 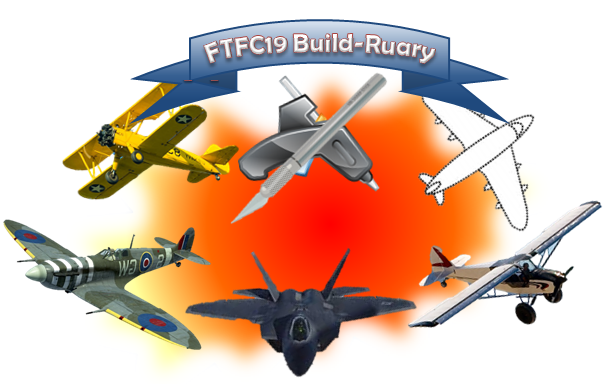 ENTRY 2: FTFC19 Build-ruary by BS Projects Inc.
1: F-22 64mmEDF- 99% designed and 50% built. 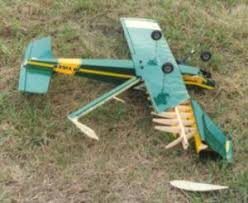 3: HZ Super cub - two broken planes blend. 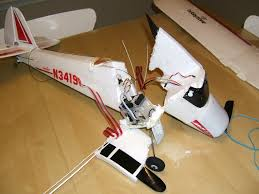 4:HZ Super cub - flying condition with mods. Before we go too far here, Let me say CONGRATULATIONS to all who made it to the finish line! Those who don't show up here have not participated past the entry. Alright! Who interested in Signing up for 2019 Build-ruary?! If you need parts... Amazon can send you the basics within a week, with prime. and you can get pushrods from Lowes or Home Depot with Landscaping flags. I'd love to, but I will miss way too much build time with some vacations that month. I look forward to seeing all the entries, though! 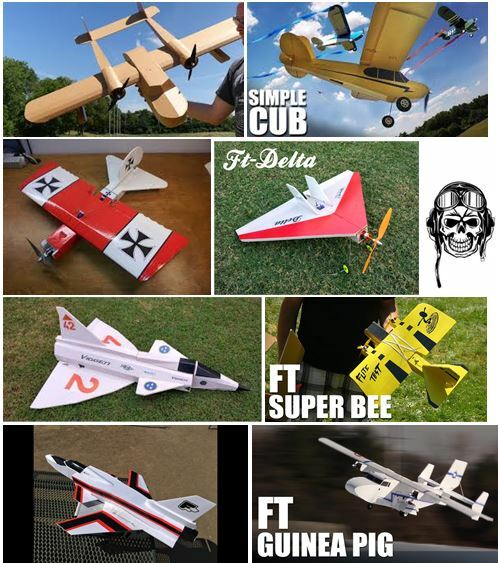 I will build the FT vector, wmpf highlander, mini scout, explorer, longEZ, simple cub. Very exciting! I have added you guys to the list in post #2. 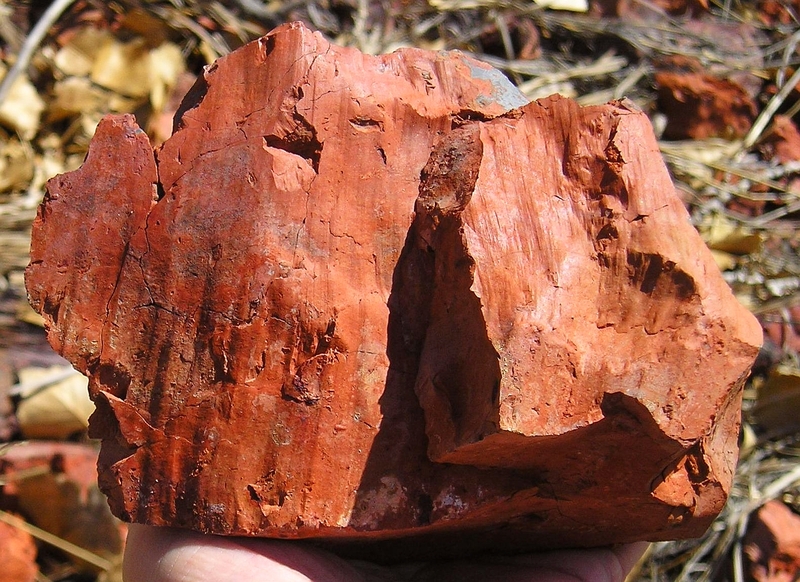 Remember, Students need only do 2 projects as school takes precedence and Feb. is busy. Points for Student builds are double. 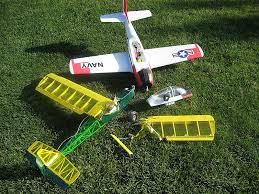 If you change planes mid-contest... that's ok. 4 planes - 4 weeks. 1 more entry and it might be a Contest. 2 more beats out last year. Last year, we had 4 entries that stuck. we had a lot of fun. I'd like to re-invite @DamoRC , @foamtest and @Daniel Kezar back to the fray! sounds cool, are you changing an entry or changing the challenge? Either way I'm down! Alright, who doesn't LOVE a challenge!! are you changing an entry or changing the challenge? Either way I'm down! I would be changing my entry #4. Welcome aboard @kilroy07 first post updated, thank you for the link. 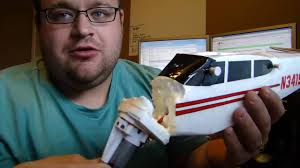 Quick question, I have a plane that is in need of some repairs could enter that in as an entire build? 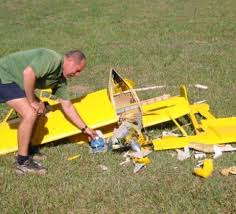 @Grifflyer - I hear you have 3 planes builds and one re-build. YES - I've learned along time ago through running D&D that when it comes to hobbies, the answer starts with YES. 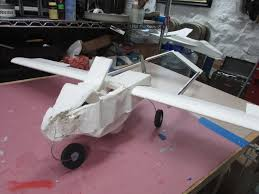 low partial for a glue, tape and fly job. Does that sound fair to you? and what should I sign you up for? I'd say Mine falls under the category of full re-build or High Partial, what do you think? 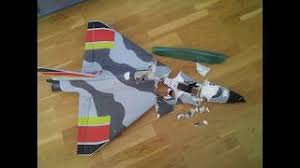 If you want to see it an undamaged one follow the "Grunjet" link in my signature.